A textiles and apparel manufacturing event, bringing together all the major aspects of progressive digitalisation, is to come to the US for the first time. 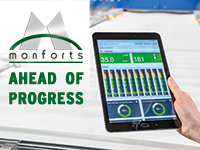 The 2019 Innovative Nonwovens Conference (NETInc) will take place from 5-8 May 2019 at the Indiana Convention Center. Hosted by INDA and EDANA, Outlook Plus Latin America (OPLA) will return to Brazil for the third edition from the 7-9 May 2019. 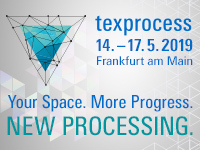 Techtextil is held in parallel with Texprocess the leading international trade fair for processing textile and flexible materials. 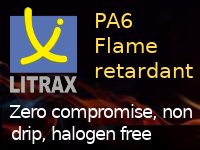 The next edition of Filtrex is scheduled to be held in Berlin from the 14-15 May 2019. FESPA 2019 is Europe’s largest international wide format professional printing exhibition, where over 700 exhibitors showcase their latest innovations. The first edition of the workshop Atmospheric Plasma for Industry (API) will be held in Padua, Italy, on 23 May 2019. The 2019 event will host more than 300 international and domestic companies exhibiting a wide range of products and process solutions. Impervius is a conference by the industry for the industry, specially aimed at professionals in the bituminous membranes sectors. The next edition of the International Nonwovens Symposium (INS) will be held from 12-13 June 2019 in Vienna.